In a society that is increasingly adopting and legitimizing a “colorblind” ideology, making an argument that racism still exists becomes an arduous task. I have a 14-year-old daughter that attends a predominately white school and on many occasions, she has come home in tears with hurt feelings because one of her peers has assaulted her with a racially charged comment. In the past, I have addressed this by reassuring her of her value and worth to our family and to broader society. However, I realize that reassurance from mom is not enough to stave off the extremely damaging impact those hurtful comments have on my daughter’s self -esteem. I need reinforcements. I have embarked on the journey of bringing forth awareness among the administrators at her school, in hopes to garner their support. Students of color need to feel that their teachers and their administrators care about their experiences and recognize the unique way in which they navigate their environment. Like many schools across the country, the current model used to address issues of race at my daughter’s school is punitive. As we know, school is a microcosm of broader society, so not surprisingly there is a palpable almost frantic attempt to keep issues of race at bay. Involving the administration at her school has proven to be much more difficult than I had initially anticipated. When a student makes a racist or a stereotypical statement, they are punished, very little is done to address the broader issue, which is race and racism. 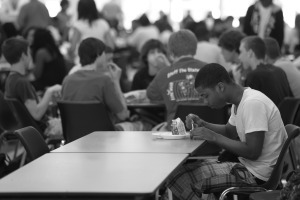 Assigning a student to lunch detention or issuing a suspension sends the message that what the student said was wrong but omits the discussion of why? The student is taught to “not say that again” and with this punitive model, they probably won’t, but it is the silence that reinforces race as a system of oppression. “Silence” conceptualized as an entity has proven to be a powerful oppressor. It is our responsibility to dismantle the enormous power that “silence” yields over oppressed and disenfranchised people. Having honest conversations about race is painful, but we have to learn how to become familiar with and work through the feelings of discomfort when discussing issues of race. We ask ourselves; why are we so uncomfortable, and why is it painful? There is a reason, but it is not reason enough to dismiss the discussion; on the contrary, it is an argument to begin the conversation. My daughter and other children of color should not have to walk through a minefield of racial stereotypes on a daily basis. It is insulting to me, to my daughter and to other students of color to have the school administration dismiss the bombardment of verbal racialized assaults by dealing with them as individual occurrences perpetrated by individual students. There are broader structural forces at play here, such as institutional racism and the stereotypical images disseminated that maintain that racism. Young people’s minds are like sponges. They absorb these racist and stereotypical images almost as if osmosis were taking place. However, as a sociologist I know that racist ideologies are not learned via osmosis. It is through socialization. Stereotypical images and racism manifest themselves within students’ interpersonal interactions with each other. Unfortunately, as a result of this phenomenon the self-images of students of color are disproportionately negatively impacted. Race is a social construct that does not exist in a vacuum and school administrators have to work towards creating a safe environment for all students, even if that means experiencing feelings of discomfort and talking about painful issues. There is definitely a pattern emerging within the school system that impresses upon me that there is not enough being done to address issues of race. Incorporating diversity programs within academic environments is a much more beneficial tool to create discourse about race and inequality. Including diversity issues into the everyday curricula will promote awareness and knowledge about race and stereotypes. It will also provide administrators with the agency to implement policies that encourage and facilitates communication, instead of silence when addressing those students that commit racial assaults against their peers. Moreover, dialogue among administrators about race and inequality will help facilitate conversations among the students as well, without the “taboo” stigma attached. As a collective society, we have to equip our young people with the necessary tools and knowledge about inequality so that they can become allies in struggle against injustice. As mentioned earlier, convincing the school administrators that there is a problem that needs immediate active attention is difficult. They have to first acknowledge that inequality does exist and then work to implement programs to aid in the discourse about these issues. The fact of the matter is that racism is embedded throughout every facet of our lives. We are all affected by it in one way or another, whether it is directly or indirectly and also whether we benefit or are disenfranchised by it. Punishment without discussion only serves to maintain the systems of oppression and racial hierarchies that currently exist. If the goal is to create social justice within the school systems as well as within broader society, then it is time to rethink the ways in which we address these issues. Punitive models are ineffective tools to promote awareness of injustice and racism. It only reinforces the silence and simultaneously upholds systemic oppression executed under the invisible cloak of the “colorblind” ideology; which we all know is a crock of (you fill in the blank)! Which makes me wonder, is there a collective goal in our society to create social justice, or does it only serve as the politically correct rhetoric where real action is only simulated? 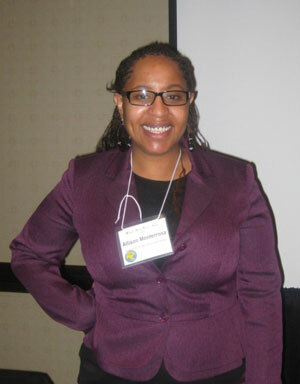 Author Bio: Allison Monterrosa is a graduate student at the University of Colorado at Colorado Springs. She will graduate in December 2012 with a Master of Arts degree in Sociology. I agree with this article completely. There's always a "do" list and a "don't" list but there's never one that tells you why you shouldn't. At my old job, every time I trained a new employee my manager always told me to tell the person why they're required to do such things. This helps them understand why they're doing these things and it's a better learning mechanism. Same thing with punishments to kids. If you just tell them to stop and never give them a reason why what they're doing is bad then they just won't get it. I have given this a little thought and it seems to me that a "crawl, walk, run" approach might yield dividends on raising the social awareness of our youth. By this I mean that age-appropriate, proactive, programs of instruction should be enacted before children are socialized into racist or stereotypical thought processes. I think this may appeal to school administrators as it is a positive step and not a corrective measure made necessary by some unfortunate (and embarrassing) incident at the school. As it is, the system seems to put a bandage over the wound (punitive model) each time racism comes to the fore. At some point, we must pick off the scab and get to what's festering beneath. But, if we were to try to head off such issues by discussing them early, maybe we could somewhat heal the wound. Racism and stereotypes exist everywhere not only at school. It is really hard to change their mind and thought because nobody learns about racism but people experience that when they are young. Even the little kid that lighter color is better than dark color and they compare the colors among their friends. Nobody taught them the different colors but little kids just catch by themselves as they interact with people. Racism and stereotypes are that things that we do not need to learn because people can learn as they live in this diversity wold. It is pretty interesting but sad. I think it is very important to introduce race lessons to children at an early age. Beiginning in elementary school I think it is very important to teach young children about different races. The majority of our problem as a society is that many people do not know about racial issues or are too uncomfortable to discuss them! I think that if everyone began talking about these issues as a younger age, we would be better off as a society. I totally agree with you. If we think about it, many schools implement second language courses at a very early age in their curriculums because students at a young age are able to retain the material very well. The same should hold true for classes about racism. What students learn when they are younger sets the foundation of their beliefs. So, if tolerance and racial education can help them become more successful and accepting individuals, I say, what are we waiting for? Race can be an uncomfortable topic for people to discuss, but it never gets any easier. Instead of neglecting the subject all together, let's take steps to prevent its perpetuation. This article revealed to me that silence is the not enough to correct the deep roots of racism that our societies has. Yes, if a student says a racial comment at school they might get detention, but few times I have seen that the administration informs the student why it is incorrect to say things like that. It is important that we begin to tell people it is not just about silence, but about correcting the racist mentally of this society. We need to inform the younger generations that just think a racist thought is incorrect. We need to start to change our mentality of people that are different than us. This deeper than not saying something; it pushes us to deal with the way we have been taught to think about race in this society. As the mother of a 17 year old Chicano child I understand exactly where you are coming from. I believe that the punitive model currently used only creates more problems and animosity towards the group it intends to protect. When a child does not understand why he/she is being punished for stating racialized stereotypes it reinforces the feelings of animosity between privileged and oppressed groups. Silence is an agreement to uphold the status quo. Silence is not to be encouraged. But people should be encouraged to talk about their racial issues in a group or private setting and then they can learn versus keeping quiet and not knowing why. It is more important to get everything out in the open and talk about it than it is to just keep silent to avoid problems. I attended a racial heterogeneous high school; there were individuals from all backgrounds and cultures, yet I'm sure there were still racist and close minded individuals at my school, despite their eclectic setting. Racism is something that is learned, so it can therefore be unlearned. I think instituting classes or bringing in speakers is a wonderful way to shed light on the issue of racism in an educational, healthy way. The personal story of this article really touched me. Looking back on over fifteen years of schooling (and counting), I can't remember a single day coming home and crying or worrying about my race. Being a white male individual, I took for granted the amenities granted to me because of the color of my skin. I was exempt from so much emotional turmoil simply because I was white. Any student that makes a racial slur, if they are white, black, spanish, indian, any race, if they make a slur that is hurtful to anyone, they should be punished for it. Whether it be a joke or not, the fact that children are coming home from school and in tears and upset, it very upsetting for me because i would not know what to do if i were being bullied everyday going to school. There needs to be punishment for every person that makes a slur that can hurt someones feelings. This could be the start of ridding racism in the United States. Racism still exist today. I work with little kids and some of the comments I would hear shocked me. I couldn't believe some of these comments or questions I heard are from these little kids. It happens within our own race regarding light skinned tone versus dark skinned tone. Racism and sterotypes should be taught at a younger age at home and at school. There is still more work to be done and more issue to address at school. This article has shown me a lot more than I had originally known. The first comment I would like to make is that Allison, you are absolutely right. Silence is definitely not enough to solve the deep problem of racism. Many schools, like you said, will only suspend somebody or give them detention if they make a racial. That's how it was in my high school. They never tell the student why though. Why aren't they allowed to make those kinds of comments towards people of a different race? Schools really need to figure out a better way to handle the situation. If they can teach kids to not use racist remarks, then that might be able to start the complete abolition of racism. I know it as a long short, but it would definitely be worth a try.